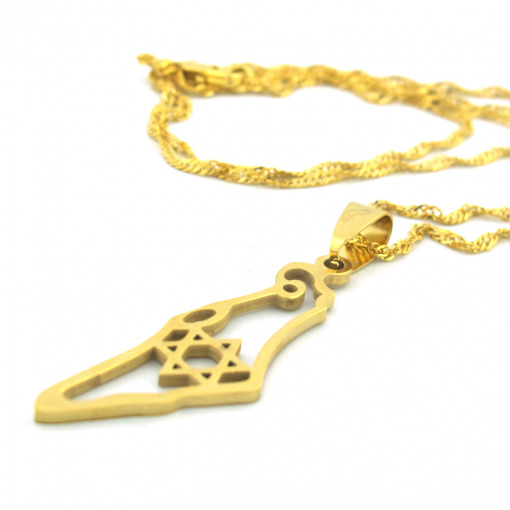 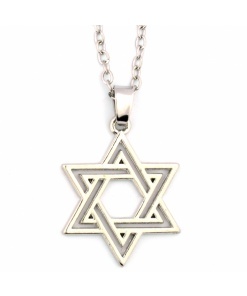 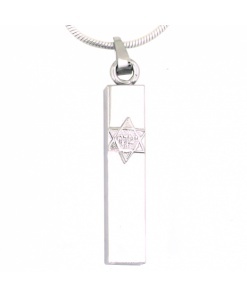 If you love Israel, this is the necklace for you. 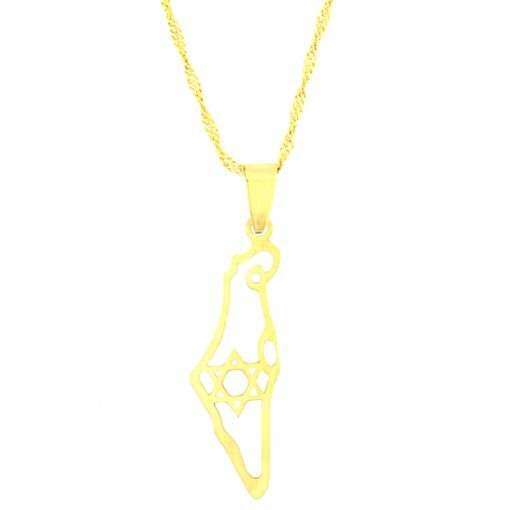 The shape of the country of Israel is presented in shiny gold with a Jewish Star in the middle. 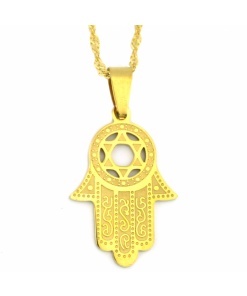 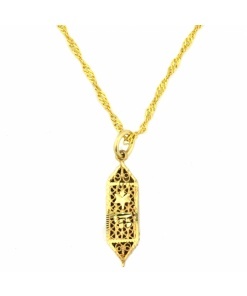 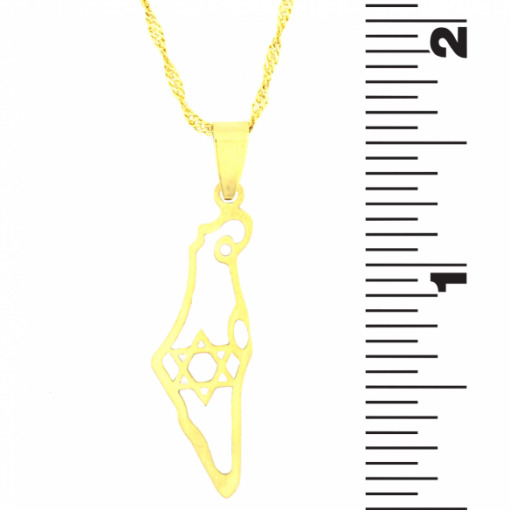 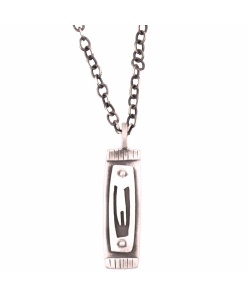 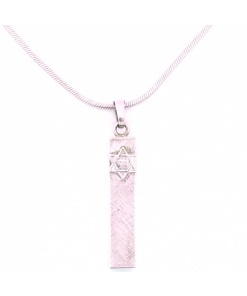 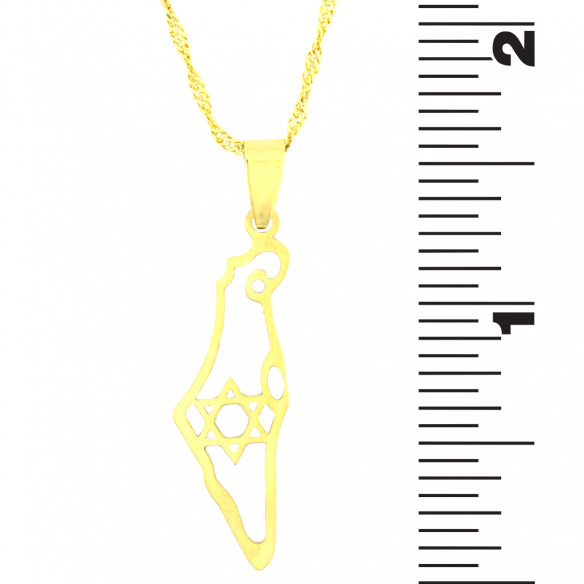 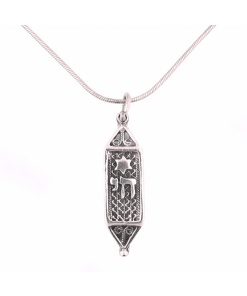 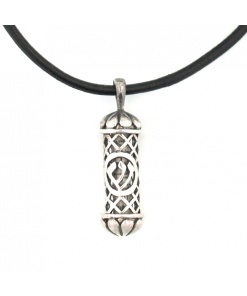 Proudly display your identity while looking great with the Israel outline necklace.